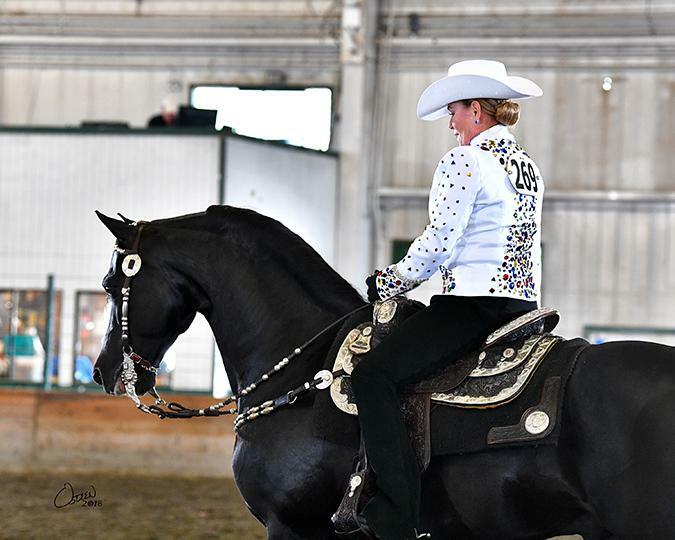 This elegant black stallion a notable competitor in the tough western pleasure division since he won his first title as the Junior Horse Champion at the Massachusetts Morgan Show as a 3YO. Since then, he has racked up tricolors from coast to coast. By the incomparable sire of World Champions MIZRAHI, he is out of the dam of the twice World Champion Mare TREBLE'S SHE'S MIZBEHAVIN GCH. "Patrick" is also a charming personality who adds to his fan club everywhere he goes. Contact us about booking your favorite mare for the 2019 season!